Supports boards which have a maximum weight of 200 lbs. The overall weight of the wall mount with cart is 215 lbs. Balt surprises its customers with advanced/upgraded stands every time. 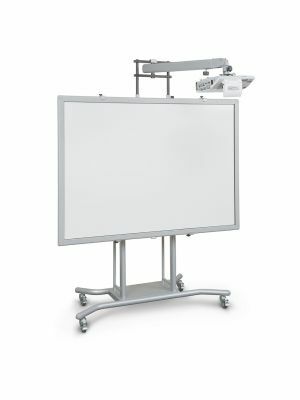 Similarly, the Balt iteach 2 mobile electric cart is the latest version stand which accommodates interactive whiteboards and different sizes projectors. The height can be adjusted electrically with a touch of a button to a maximum of 20". The four casters in the base support transportation of the whiteboard from one room to another. Many optional accessories can be used with the stand like the sidewing arm and shelf option for placing laptop so it can be reached easily, a ventilated cabinet for storing board accessories securely and a 7-outlet power strip surge protector. 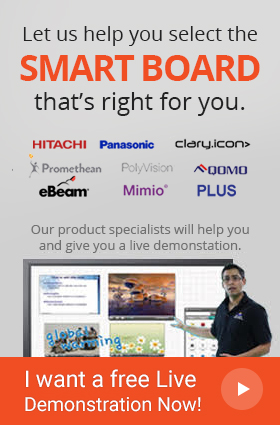 For using interactive projectors, the interactive projector board is recommended to be used with it so results are of next level. Q. Does Balt iTeach 2 mobile cart come with warranty? Q. Does the Balt iTeach 2 mobile cart hold displays more than its weighing capacity? A. Yes, the Balt iTeach 2 mobile cart can hold displays more than its capacity, however it is always recommended to use the carts of required capacity. Our store offers carts that accommodate all kinds of displays. Q. Where can I use the Balt iTeach 2 mobile cart? A. 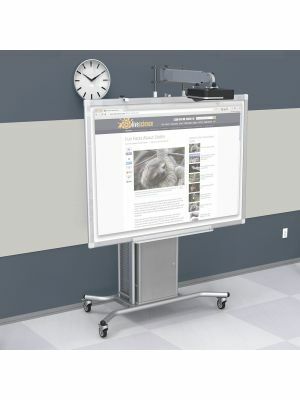 The Balt iTeach 2 mobile cart is ideal for every kind of industry such as business environments for presentations and seminars and class room environments for lectures and collaborative discussions. Q. How can I clean the Balt iTeach 2 mobile cart? A. In order to clean the Balt iTeach 2 mobile cart, use the wet and soft sponge and lightly rub over loose dirt.